Rockville, Md. August 8 – Rodney E. Hood’s work to support the disability community began with the assignment to “figure out a way to go beyond passive mode at a gala.” Hood is the Corporate Responsibility Manager at JP Morgan Chase, which entails managing partnerships that promote sustainable community development in underserved communities, including those with disabilities. When Hood first came on as the manager, JP Morgan Chase had relationships with the National Deaf Association and the National Federal of the Blind and other organizations, but they did not extend much beyond the bank’s presence at their conferences. At JP Morgan Chase, Rodney and his colleagues follow a model of impact to ensure that they invest sustainably and prioritize the needs of the residents. This model of impact includes an environmental scan, a look at the infrastructure, a meeting with the city council or mayor. All these variables impact how JP Morgan Chase invests in these cities. For that reason, community development in Detroit looks different from that in Chicago. To be more specific, Detroit has millions of vacant housing units that may need to be converted to public green space or grocery stores. In contrast, JP Morgan Chase’s work in Chicago may take more of the form of a fellowship initiative that supports young African American and Latino men pursue higher education. 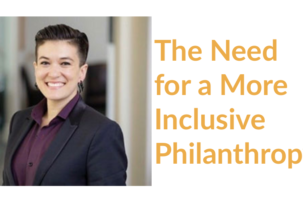 For students and young professionals who also are interested in working toward social change beyond the nonprofit world, Hood believes there are more opportunities today in the corporate world than in previous generations. 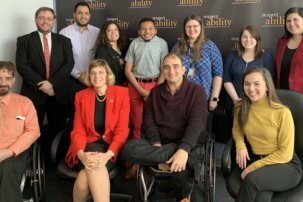 So, when researching potential employers, he suggested looking into their corporate responsibility work, specifically where they stand on disability issues and other areas of concern, so that you work with a company that allows you to give back. 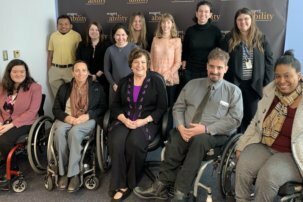 RespectAbility is a nonprofit organization fighting stigmas and advancing opportunities for and with people with disabilities. This summer, 11 Fellows had the opportunity to learn from a variety of guest speakers. Learn more about the National Leadership Program and apply for the next cohort! Contact BenS@RespectAbility.org for more information.